Free to browse. Free to share. Print them, post them, project them. 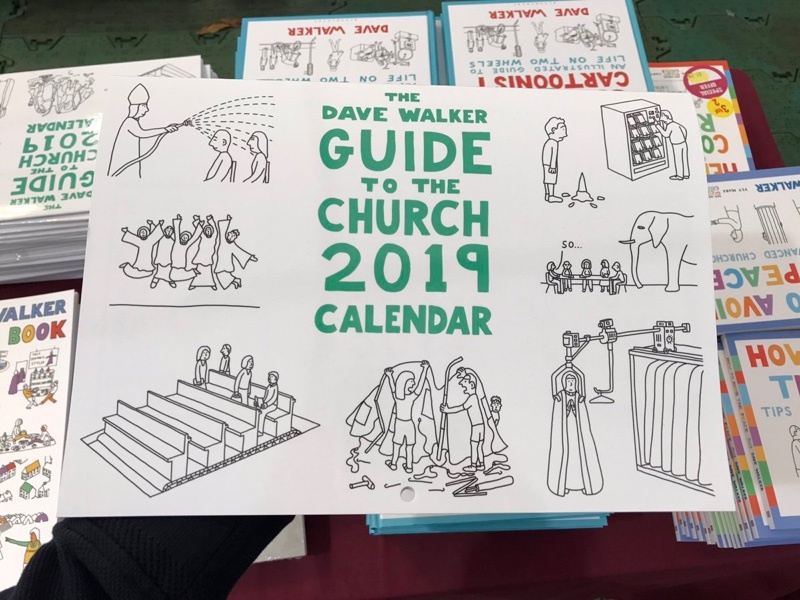 Each book contains approximately 90 church-themed cartoons. Now available: How to Avoid the Peace, and The Cycling Cartoonist. With a CartoonChurch unlimited cartoon licence. It might cheer them up on a Sunday morning. 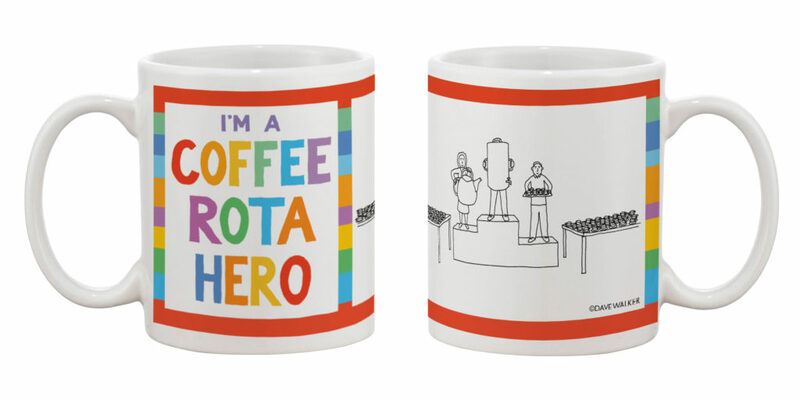 'I'm a coffee rota hero' mugs are now available. 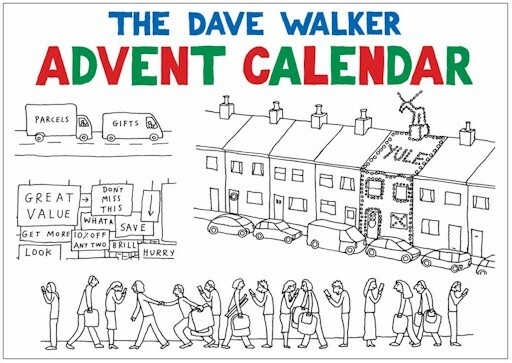 A cartoon for each month of the year - available now! 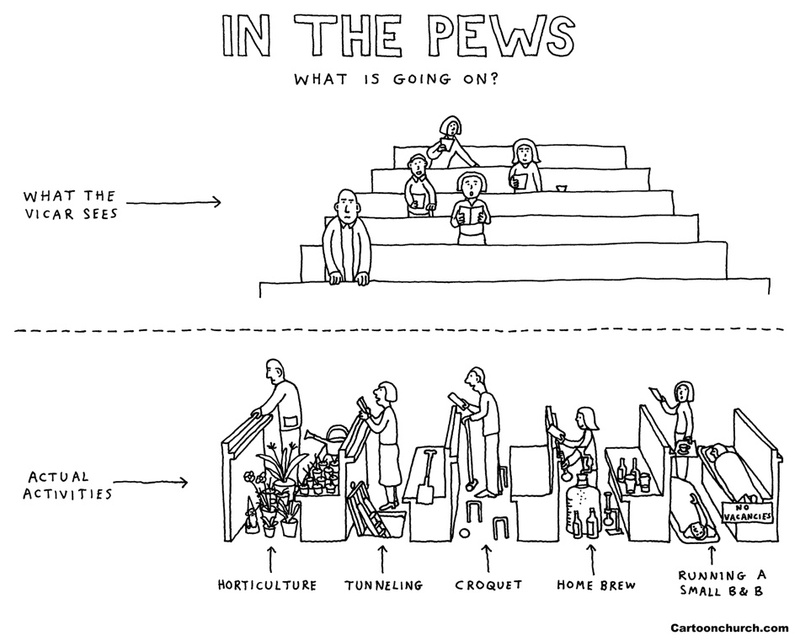 With the CartoonChurch newsletter. We have no plans to email more than one a month, and we won’t pass your address on to anyone else. I hope you enjoy my cartoons. Please do keep coming back. If you’d like to share them that would make me very happy. Thank you!